I have worked with a range of designers, from students to globally recognised names. The work has been very varied … from stitching unique designs on to material, to preparing the yardage for their next stage of manufacture. As each job is completely individual, I charge by the hour for quilting for designers and fashion students. Please contact me with a sketch or picture of the quilting design you would like (a rough draft at this stage is fine), and I can give you an idea of the costs involved. You are most welcome to come to my studio to see how quilting on a frame works. 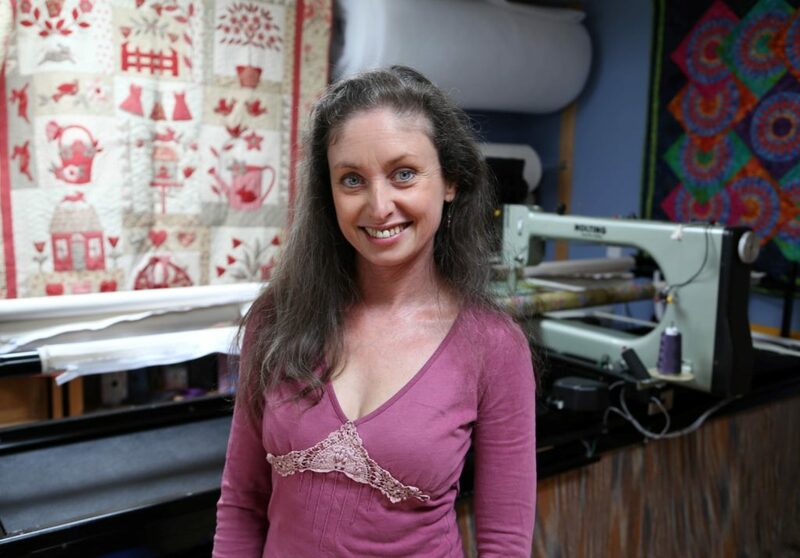 Then I can answer any questions you have about the quilting process and what I need from you to proceed. There is no charge for this initial consultation. I have no minimum run.